When the names (Dan) Penn & (Spooner) Oldham appear on a record label, it's practically a guarantee that it's gonna be excellent. This record certainly holds up that standard to a very high degree; more unusually, the a-side is a swinging Detroit-style soul track from these folks that are much better known for the kind of deep soul sounds that we hear on the b-side. 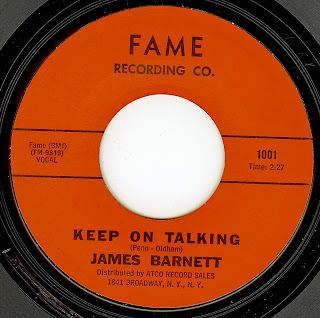 The Fame Recording Co. in Muscle Shoals cut an exceptionally high number of excellent records in the '60's, and the production (Rick Hall) and musicianship was top shelf. I'm gonna speculate that Dan Penn is the harmony voice heard on both sides. 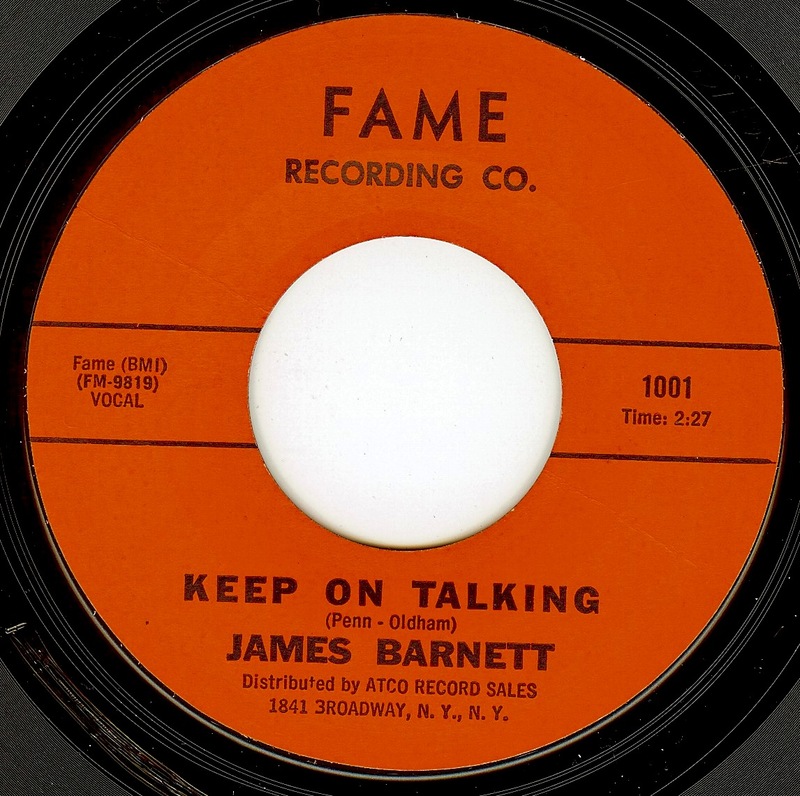 It's very hard to believe that this is the only record from James Barnett (which it seems to be). The man was gifted with a supremely expressive and powerful voice! Records just don't get any better than this, do they?